“At Loll, we enhance people, the planet and our company in everything we do. Loll is outdoor furniture for the modern lollygagger”. 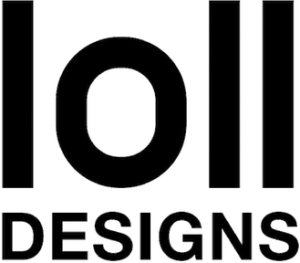 Based in Duluth, MN, Loll Designs is a designer and manufacturer of durable, all-weather, outdoor furniture and accessories made with recycled plastic. Using thoughtful, original designs and unique materials, Loll creates innovative, fun and high¬ quality products proudly crafted in the USA. Loll originally used recycled post¬industrial plastic (scrap that has been diverted or recovered during the manufacturing process), but by 2007, they began sourcing post-consumer plastic (material that has been used by consumers and diverted or recovered from waste destined for a landfill). This is when Loll really started to establish themselves as a company with an environmental conscience. An estimated eight recycled milk jugs go into each pound of a Loll Adirondack Chair, which equals about 400 milk jugs per chair. Furthermore, their recycled material is 100% recyclable, so it can be re purposed into another useful product at the end of its life.